In SP2013 you can create a Wiki site/sub-site (using the Enterprise Wiki site template) or create a Wiki Page Library in an existing site. What are the functionality differences between these two options? Below is what I have found so far. In Enterprise Wiki you get Page Layout, whereas in Wiki Page Library you get Text Layout. Enterprise Wiki uses the Pages library, so you get all the functionality you would with normal publishing pages. OOTB you get two page layouts, Basic Page and Basic Project Page. In terms of editable content, these two page layouts are very similar. They both contain a single rich text area on the page. You therefore virtually have no choice in how to layout your content OOTB. With Wiki Page Library you get Text Layout in lieu of Page Layout. Text Layout is great because it allows you to very easily change the layout of your page using several pre-defined layouts, as shown below. There is a catch though. While adding custom Page Layout is a common thing for a developer, I have no idea how to add more layout options to Text Layout. Also, if you have additional metadata fields against the Wiki page, you can add these to the Page Layout. I am not sure how (or if it’s even possible) to do this with Text Layout. So within this particular area, if you want to be able to change your layout OOTB without custom dev, then use Wiki Page Library. Using the Enterprise Wiki and Page Layout however will give you more flexibility in the long run. Content Type is disabled on the Wiki Page Library and you cannot enable it (using the SharePoint UI anyway). Enterprise Wiki uses the Pages library so you can add additional content types (and associated page layouts) to the library if required. If you want better control over your information then use the Enterprise Wiki. With Enterprise Wiki you get Categories and Rating OOTB. These are placed on the OOTB page layouts, as shown below. You don’t get these with Wiki Page Library. While you can manually add metadata to Wiki Page Library, you can’t add the fields to the text layouts. This means users would have to edit the content of the page, then separately edit the properties of the page to enter metadata, which is not good for encouraging metadata entry. You can enable rating for the Wiki Page Library, but again, the only way for users to rate a page is to go to the View All Pages view of the library. So if you are planning to have metadata on Wiki pages, then use the Enterprise Wiki. Reusable Content: you get this in Enterprise Wiki only. Alert Me: for some reasons you don’t get this with Wiki Page Library. You get it with Enterprise Wiki only. Update 27/02/2014: As Livo pointed out in the comments, Alert Me is there for Wiki Page library. My testing shows that this is correct, but only if Outgoing Mail is configured for the web app. Add a page (from gear button (Site Settings)): You don’t get this with Wiki Page Library. This means it is pretty hard for users to create pages independent of links. Updated Pages on left nav: You get this with Wiki Page Library only. This guy appears on the left nav of the Wiki pages and list recently updated pages, as shown below. So, in the end which option should you choose? If you want/need maximum flexibility (now and future-proofing) and can afford custom dev, then go with Enterprise Wiki. If you cannot afford custom dev, then Wiki Page Library seems to offer more functionality OOTB. Let me know if you have found other differences between these two guys. This entry was posted in SharePoint 2013, Uncategorized, Wiki. Bookmark the permalink. Thank you very much Bernado. One other difference I realized in an “a-ha!” moment this morning. Enterprise Wiki, with its page layout functionality, assumes having Publishing enabled for the site. This, of course, disables the “Save Site as a Template” option. Thanks for this information–exactly what we need to know. Thanks Eric, That was my question after reading this. I rely on “saving site as a template” using team sites. What’s missing is “add a page” on my team sites. It’s good to know that activating Enterprise Wiki requires Publishing (therefore I stay away from that), am I to believe that Wiki Page Library does not require Publishing and I will still be able to save my site as a template? emmm… I am a not a master with Sharepoint but I have found “Alert Me” for Wiki Page Library?? 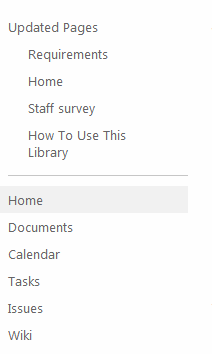 It can be found from Library tab at least in Sharepoint Online version. It alerts changes to the library or library pages or are you talking about some other kind of Alert Me? There is Alert Me also for individual pages at Pages tab. Also, at least in Sharepoint Online, I can find “Add a page” when I click the gear icon from any page in Sharepoint site. It adds new page to the Site Pages library. By the way, does Site Pages library and Wiki Pages library mean the same thing? I mean, is the default Site Pages library a Wiki Pages library as it’s library type? Hi Livo – apology for the late reply. I just did some further testing and yes you are correct regarding “Alert Me” for Wiki Page library. However, my testing just then shows that that button is not there if Outgoing Mail is not configured for the web app. I probably did not have Outgoing Mail configured and therefore did not see the button when I wrote the article. I will update the article – thanks for pointing this out :). Regarding the “Add a page” button, my testing just then shows that this option is not there when you are on a page in the Wiki Page library. It is there when you are on other pages in the site. And yes, the default Site Pages library and the Wiki Page library is of the same list type. Are there any differences with regards to how SharePoint search is configured to crawl the wiki content? I’m not aware of any differences in search configuration for Wiki Page Library or Enterprise Wiki. I’m not sure that is correct, but I don’t have SP2013 to verify. Enterprise wiki pages (EWP) (Pages library) have a separate metadata column for Title. This allows you to use common abbreviations and acronyms in the url to keep it shorter and to spell out words or use synonyms in the Title field. The Title field is crawled by the search engine and has a higher rank than the content on the page. Wiki pages (WP) (site pages library) utilizes the name field, which is identical to the url. You cannot manipulate this to impact search results. You might be able to add a Title column, but I don’t know if this would be crawled the same way by the search engine. One other thing, in 2010, there is a local Term Store for an Enterprise Wiki site template. You, potentially, could load a local term set that would not be shared across the enterprise. Not sure what value that has and if Microsoft did away with that in 2013. 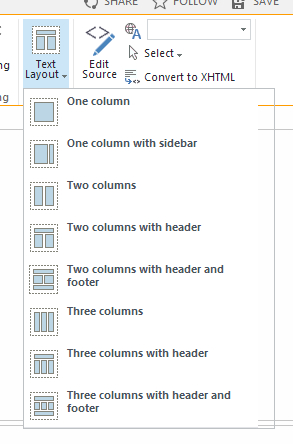 I was not aware of this in SharePoint 2010 or 2013 (if it’s still the same) – thanks for pointing it out :). I will test it out in 2013 when I manage to find some time! thanks for the comparisons , but did you try comparing the “Mobile view” capabiltitiles for both approaches ? , as inside the Wiki library if you enable the “Mobile view” site feature, then wiki pages are going to be displayed in a mobile friendly layout which is great, while if i enable the “mobile view” site features inside an enterprise wiki site collection, then the wiki page body will get rendered as blank white page. not sure what cause this to happen ?? No, I did not test out Mobile View. Thanks for pointing out the issue with the Enterprise Wiki. I will have to look into it when I manage to find some free time! 1. inside SP 2013, create or use existing enterprise wiki site collection. 2. go to “Site settings >> site features >> enable a feature named “Mobile browser view””. Just tested it out and I’m getting the same issue. Don’t have an answer for this I’m afraid. Let me know what you find though! yes please and inform me abou your finding . as i find that enterprise wiki site collections provides more features and options , baring in mind that i am a SharePoint developer, so i have made many modification to the enterprise wiki page layout which can not be achieved inside the wiki library… but when i test the enterprise wiki site collection on mobile devices after enabling the “mobile browser view” site feature i was surprised that the whole wiki page body will be rendered as an emty white page. i also created a brand new site collection of type enterprise wiki and i did not do any modification ,, where i also face the same problem on mobile views,, so i have a feeling that this is a serious bug in sp 2013 !!! >>Just tested it out and I’m getting the same issue. Don’t have an answer for this I’m afraid. Let me >>know what you find though! well i have reported this to Microsoft team hopefuly they will have an answer for this,,, seems this is a bug in SharePoint itself,, what do u think? Great article, very helpful, thanks a lot!! I’m not sure what it’s like in SharePoint on premise, but in SharePoint Online, you can add a page from the gear button (Site Settings) in the wiki page library. I only discovered this a couple of days ago, so maybe it’s an update. Thanks Liz for your encouragement 🙂 – and thanks for posting back your finding regarding SPO! Can Enterprise Wiki be implemented as a proper knowledge management tool? It depends on your specific requirements. Generally however, I’d say the Wiki together with other SharePoint features would meet most knowledge management requirements. Just as an aside, I know it isn’t “page layout” as such, but you are able to use tables inside a wiki page and place web parts inside cells of the tables, so the flexibility of layout is limited only by your imagination, it isn’t restricted to just the set of text layouts shown above. Yes, that is true. However the main benefit of page layout is the consistency that it enforces. Just wanted to understand which will be a better option for creating a newsletter ? Wiki page library is not searchable in SharePoint Online. or is there a setting that I am missing. I have not heard of this before, and I would be very surprised if this is the case. Are you just not getting the expected hits in the search result? Or are there other unexpected behaviours? I was wondering if there are any issues running an Enterprise Wiki alongside a Wiki Page Library regarding search , returning search results and Metadata allocation. The either paradigm seems to go against the idea of using as much OTB as possible. I don’t see any technical issue – but I don’t know your business scenario/requirements, and therefore don’t understand why you would want to do this. Is there any possibility to follow a Wiki-Page. Only way OOTB is to follow the entire WiKi?!? !